It’s not the idea but the execution that counts. According to South African entrepreneurial scientist Paul Smith, ideas alone are worthless. So much so, that Paul Graham, founder of seed-funding firm/accelerator Y Combinator, posted a publicly available list of ideas he wanted to see developed. In Graham’s own words: “We don’t like to sit on these ideas because we really want people to work on them. So we’re going to list some of the ideas we’ve been waiting to see, but only describe them in general terms. It may be that recipes for ideas are the most useful form anyway, because imaginative people will take them in directions we didn’t anticipate.” To quote Brad Feld of Foundry Group, a Colorado-based company that invests in software and Internet companies in the US: “The value is in creating the thing, not simply having the idea”. US-based South African entrepreneurial expert Greg Fisher shares the same view. It is hard enough to implement your ideas yourself or to get venture capitalists to buy into them, let alone for someone to copy them. Very few people have what it takes to be a solid entrepreneur, to come up with a ground-breaking idea and to translate that idea into a successful, profitable business. Chances are that person you’re talking to at an event is not that person, so stop overprotecting your idea like it is the Crown Jewels. Your idea isn’t new. If you do a search on Google for your idea, there is a high likelihood that you’ll find someone somewhere who has already done it. The key is to do it better. The social networking industry is a classic example. Created in 1997, sixdegrees.com was one of the first social networks, enabling its members to create profiles, invite friends, create groups, and browse other user profiles. However, most of us have not heard of it. Why? Probably because it no longer exists today. Like sixdegrees.com, social networking platforms Friendster and MySpace were around before Facebook. However, when you think of social networks, Mark Zuckerberg is the name that comes to mind, because Facebook greatly improved on the social networks that came before it. Patents aren’t worth it. 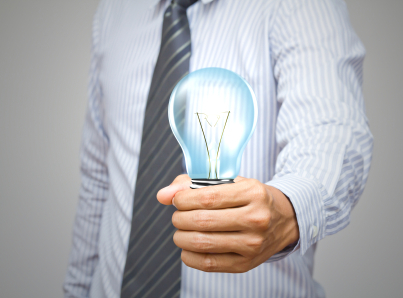 If your idea isn’t new, it follows that it cannot be patented. And even if it is new, patents are very limited in their application. If someone wants to copy your patented idea, they only have to change one aspect of the original idea and your patent doesn’t apply anymore. Also, you need to obtain patents in each and every country where you want to implement the idea. If you successfully get a patent for SA and the US, someone could copy your idea in Europe and your patents wouldn’t protect you. So it should come as no surprise that many entrepreneurs don’t value patents. This is precisely what renowned business and economics scholar Amar Bhidé found in the research for his book “The Venturesome Economy”. Many of Bhidé’s interviewees felt that the decision not to patent was a sensible one and a choice they made intentionally. And in one interview, a CEO said: “Our software business had developed fantastic technology. We did very well with it. But we elected to not file a patent because we felt that it was riskier to expose the ideas and then have to defend it, than to never discuss it.” In a nutshell, patents simply aren’t worth the risk, the cost, the time or the effort. By keeping your idea a secret, you lose out on valuable opportunities to get customer feedback and to improve your concept. The next person you meet could be a potential customer for your product or service, a potential investor scouting for the next big thing to invest in, or better yet, your next business partner. So don’t throw away these opportunities by not sharing your idea with them. Lose the confidentiality agreement. You can usually tell if someone is a new entrepreneur by how quickly they ask you to sign their NDA (non-disclosure agreement). In all honesty, how much protection does an NDA give you against copycatting? The truth is very little. If you are an entrepreneur just starting out, and a heavyweight competitor does happen to infringe on your idea, you probably don’t have the deep pockets they do to afford a costly legal battle. And even if you did, they could simply tie you up in legal delays for years. This is time-consuming and expensive and could ultimately kill your business. Same as for patents, NDAs simply aren’t worth the cost, the time or the effort. Also, if you ask a venture capitalist (VC) to sign an NDA, they will probably kick you out of their offices. In the words of entrepreneurial guru Guy Kawasaki, “Never ask a venture capitalist (VC) to sign an NDA. They never do. This is because at any given moment, they are looking at three or four similar deals. They’re not about to create legal issues because they sign a NDA and then fund another, similar company–thereby making the paranoid entrepreneur believe the venture capitalist stole his idea. If you even ask a VC to sign one, you might as well tattoo “I’m clueless!” on your forehead.” That pretty much says it all. So next time someone asks you to tell them about your idea, you should jump at the opportunity. That person could be the one who helps you take your concept to the next level. Categories: Business, Entrepreneurship, Management | Tags: confidentiality, confidentiality agreement, execution, NDA, not new, overprotective, patents, secrecy, share ideas | Permalink. of plagorism or copyright violation? My site has a lot of exclusive content I’ve either created myself or outsourced but it looks like a lot of it is popping it up all over the web without my authorization. Do you know any solutions to help prevent content from being ripped off? I’d definitely appreciate it. Hi Consuelo, sorry I cannot help as I haven’t yet had that issue. So many writers today don’t take pride in their work the way you obviously do. Thank you for your dedication to excellent writing and creating this wonderful content. It’s as if you read my mind.